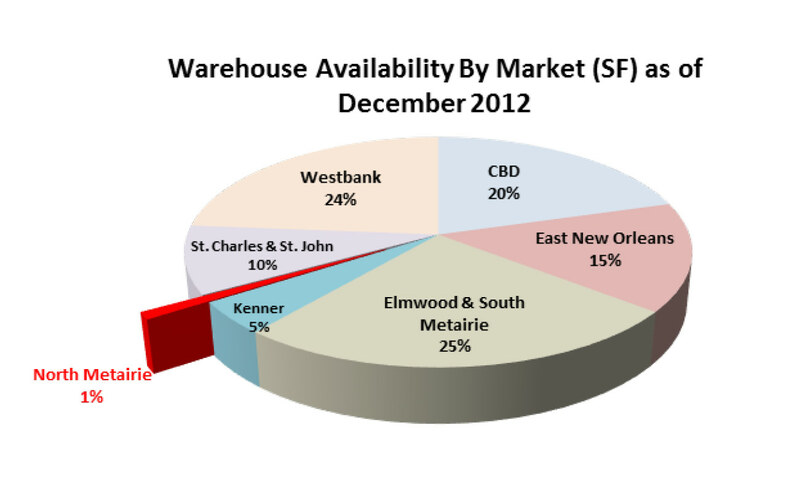 Research shows the available space in the Metairie office/warehouse market is the smallest of the six major areas of industrial space in the New Orleans MSA, with just 47,540 square feet, or 1% of the total square footage of available space, as seen in the table and pie chart below. 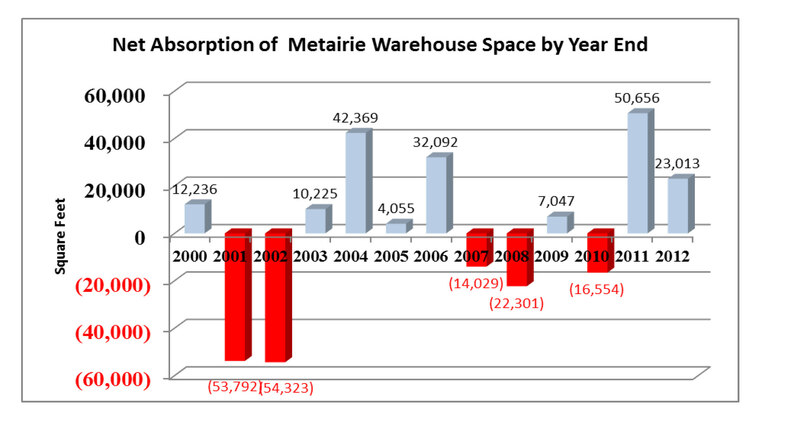 2012 was the second consecutive year of positive absorption of warehouse space which Metairie has not witnessed in six years. Economics would dictate that such small supply of available space would command high prices, but that would assume demand is constant among all markets, which it is not. 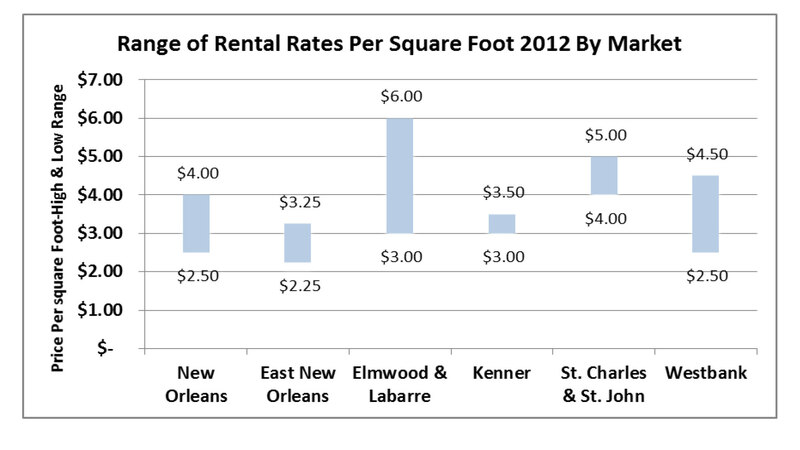 Metairie competes with the Elmwood market since it is in close proximity, and the result is a ceiling on prices of available space in the Metairie market. In Elmwood, smaller office/warehouse space rents for an average of $6.00 per square foot and larger spaces average closer to $3.00 per square foot. New Orleans commercial real estate leases typically are triple net, with the tenant paying taxes and insurance. 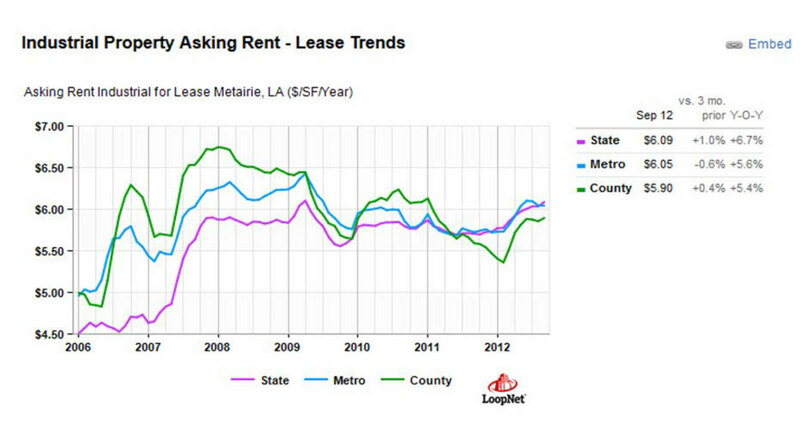 The Loopnet database currently includes only ten listings in the Metairie area, and as of September 2012, the average lease rate was $6.05 per square foot, an increase of 5.6% year over year, down from the peak in 2008 when many post Katrina three year leases were not renewed. 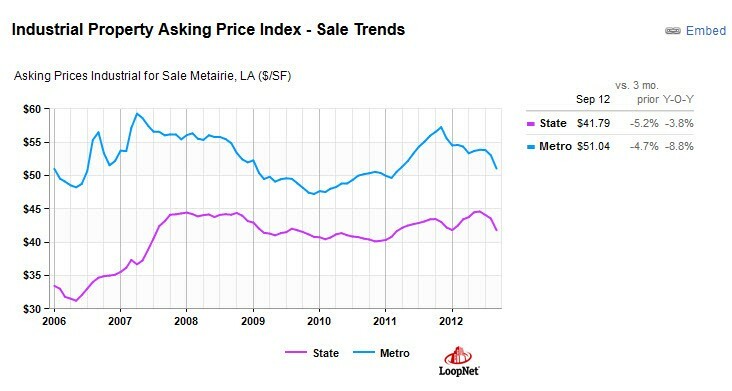 There are currently only ten industrial properties for sale in the Metairie market, according to the Loopnet database, with an average asking price of $51.04, down 8.8% year over year. A smaller database, LACDB has 21 industrial properties for sale and for lease in Metairie, totaling 236,085 square feet and averaging a sale price of $56.17 or lease price of $5.67 per square foot and have been on the market an average of 211 days. Final transaction prices are reported to have occurred on average at 11.3% below the list price.